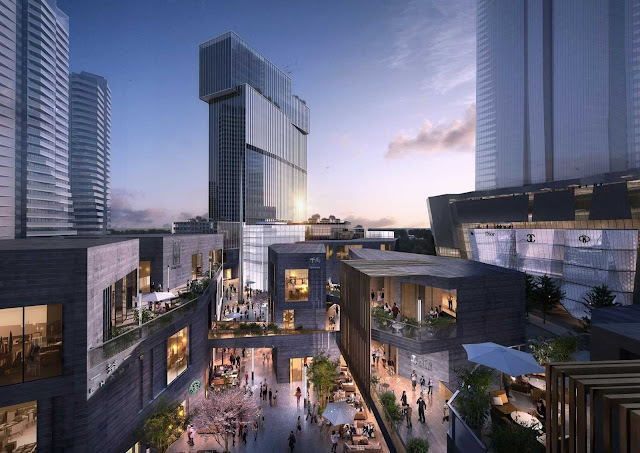 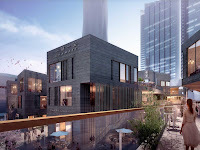 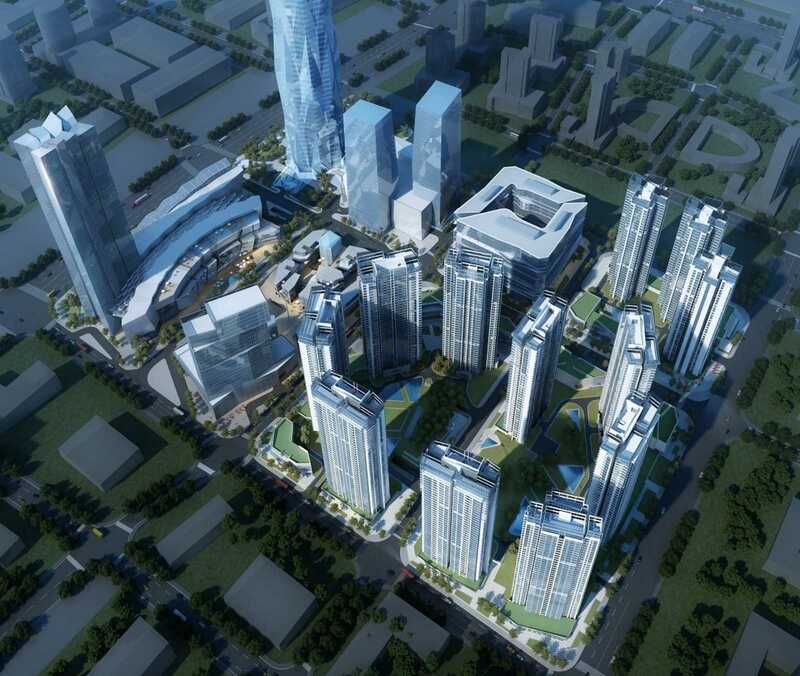 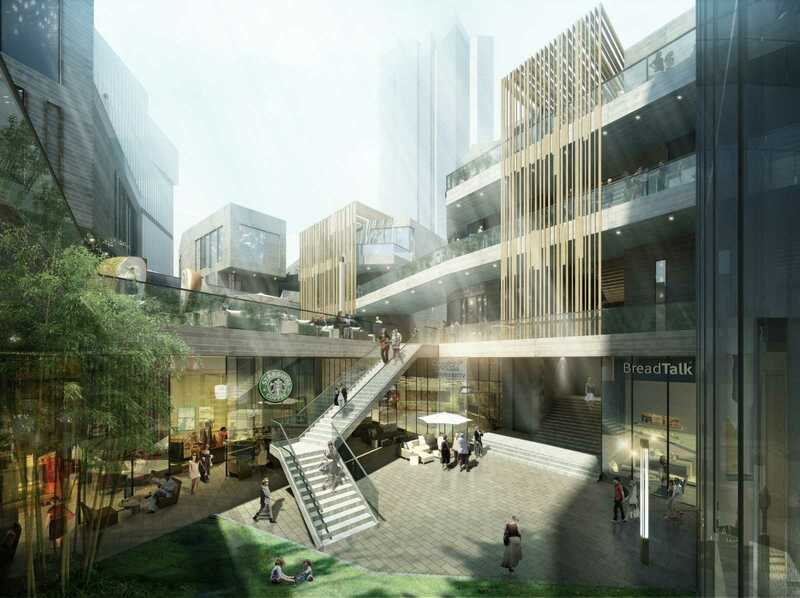 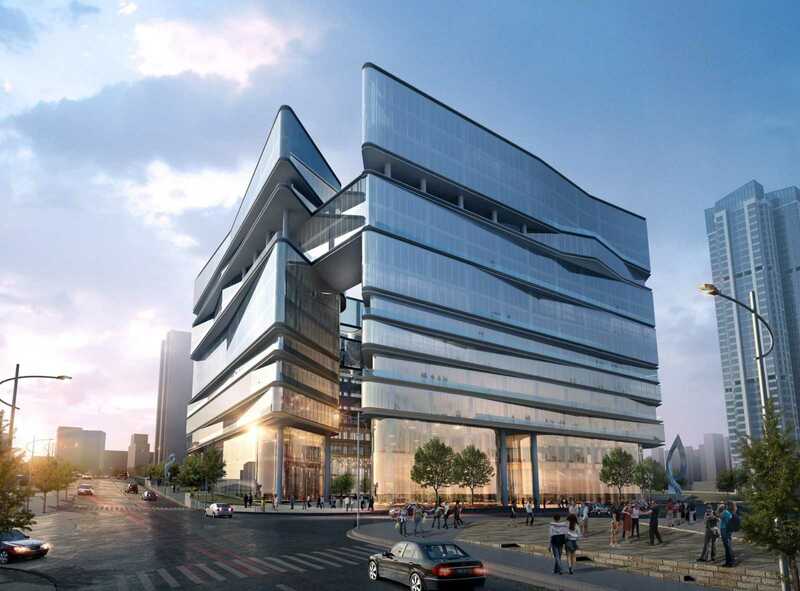 Located inside Chengdu East village, Aedas recently unveiled their ice mountain-inspired design for the Greenland Group Chengdu East Village CBED Plots. 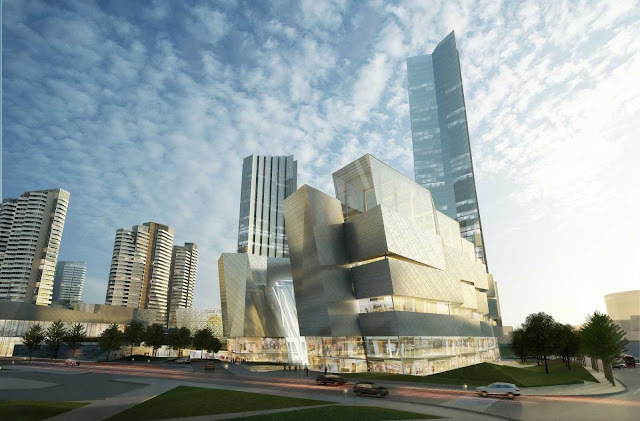 Comprised of office, retail, residential spaces and a 486-meter-high tower, the design stayed in line with the ice mountain concept, which expands to the continuity of the mountain range and landscape terrain with fissures located on the foot of the mountain. The main highlights of the development are the retail streets. 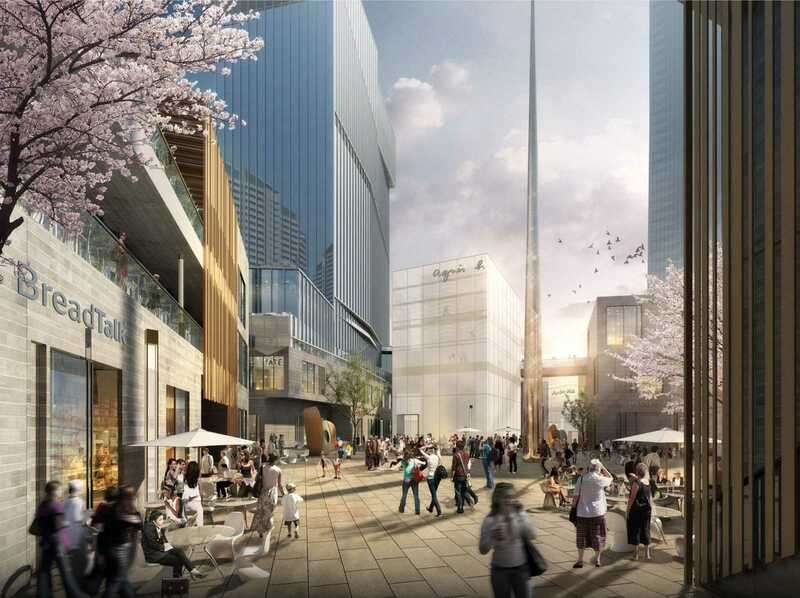 The fissure lines all converge towards the civic square in the center of the land parcel representing the heart of the retail development. The architecture for the heritage retail district is based on a modern interpretation of local aesthetics. 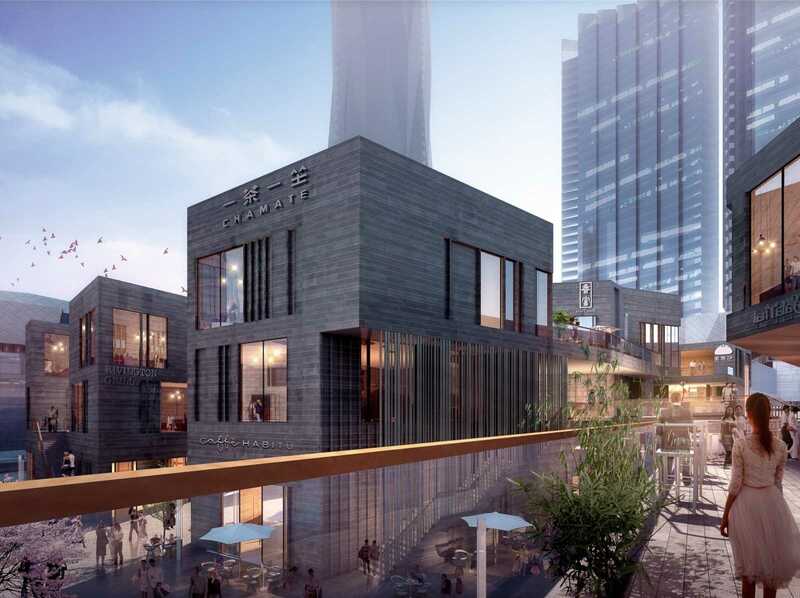 Using the same material historically famous in Chengdu, Aedas developed low rise buildings with alleyways and courtyards not too dissimilar to many Chinese courtyard developments in this historical city. Aedas studied the size and proportion of these courtyard buildings and made use of the level differences to seamlessly blend the basement levels with the ground plane. 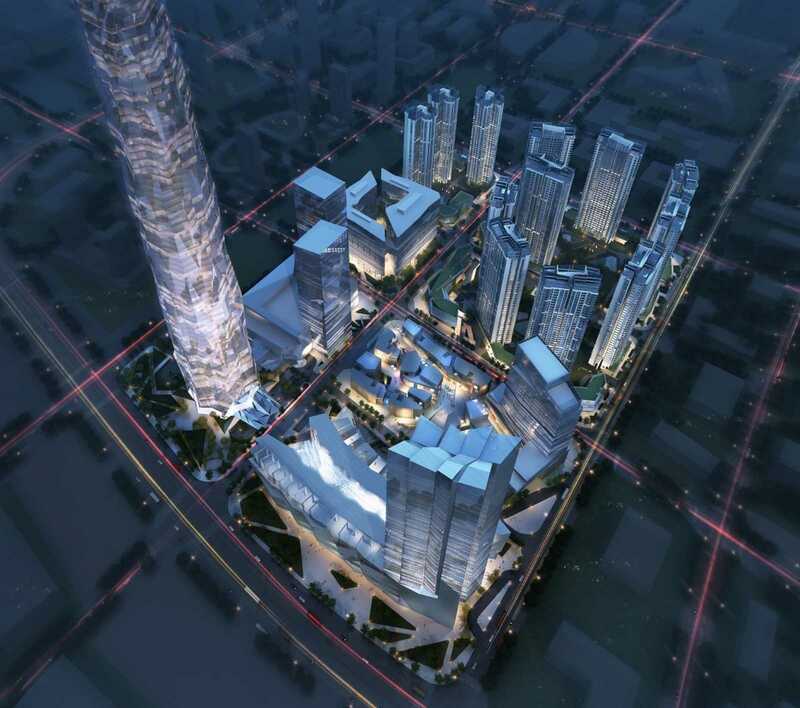 The ice mountain concept ties the master plan into a cohesive statement befitting to this holistic development, with the high tower designed by Adrian Smith.